The Mobay deejay links with J1 Production on his new single “Too Fresh.” The track is more of a upbeat party track which is in contrast to his recent releases. “Anytime me done me take a flight go a Spain / Tell them me a dog and a say me can’t tame / Me have more gal than passenger pon the plane / Tell me what yo mean wah yo say / Can’t clown me, me have a criminal brain,” Tommy Lee deejay. The track is featured on the new Too Fresh Riddim so expect plenty more artists to voice songs on the beat. 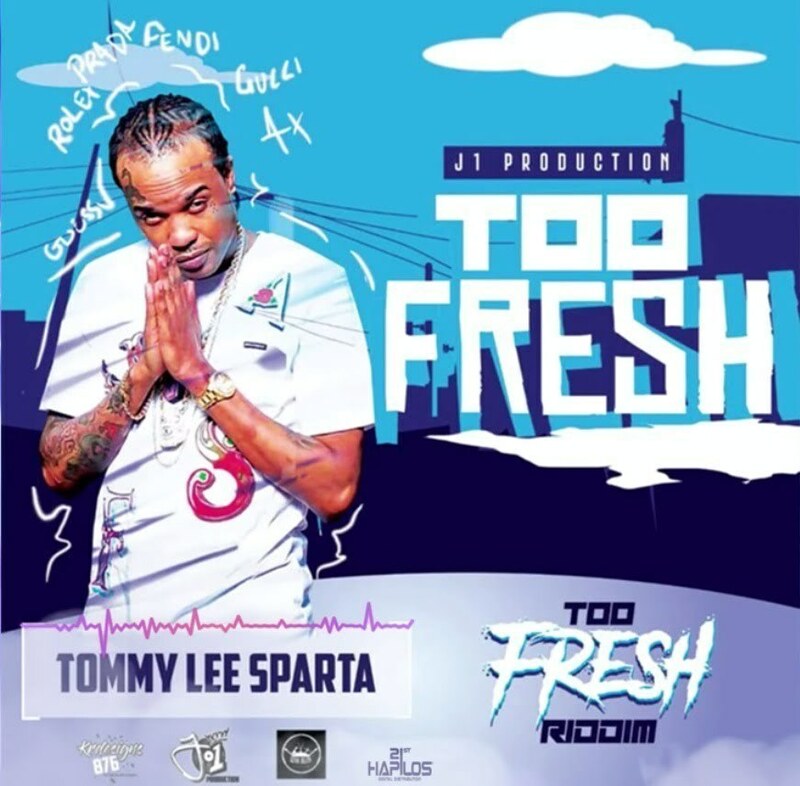 So far Tommy Lee Sparta is the first out the gate with a new banger.